Traveling can be a lot of fun at any age, and a holiday at 50+ can be both relaxing and adventurous. Your kids are all grown up by now, you are most likely more financially stable, and you no longer have to choose your holiday destination with considering child-friendly facilities. You are in the prime of your life and the world is all yours to explore. You can choose among a great deal of destinations with us throughout Europe, in any season, for the best price. Whether you are a beginner traveler or a more experienced one, there are many beautiful places awaiting for you and nonetheless, traveling will surely give you a great perspective on life. If you're looking for culture, history and great cuisine on your 50+ holiday, you have plenty of options to choose from. Our numerous holiday parks offer fantastic facilities and even wellness areas. Book a holiday accommodation in plenty of time and get great discounts. Enjoy the culture, history and cuisine of Italy, in its beautiful regions such as Tuscany, the Italian Lakes, Liguria and others. 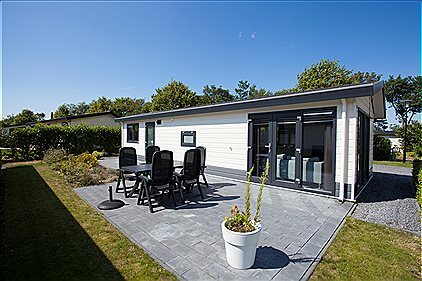 Choose a holiday park in the Netherlands, in Zeeland or North Holland, and spend some days by the sea, taste the fresh seafood and relax on a terrace at the beach. Take a boat ride or even go fishing, read a book on a sunbed under an umbrella and just completely relax. Or maybe a trip on the Loire Valley in France sounds more to your liking, you can even enjoy a wine tasting tour while exploring beautiful castles and towns and relaxing among spectacular landscapes. One of the great things about a 50+ holiday among nature is the fact that it doesn't tend to get too crowded here. There are beautiful places throughout Europe that you can explore, either as a solo traveler or a group traveler. Choose a holiday park in Germany's Black Forest for example and spend your day walking among nature, relaxing and taking in the simple beauty that is all around you. We offer you holiday accommodations that have great facilities, barbecues and gardens so you can have breakfast and dinner out in the open air. They say Luxembourg is the "green heart" of Europe and if you decide to spend your next vacation there, you will most likely find this statement to be true. 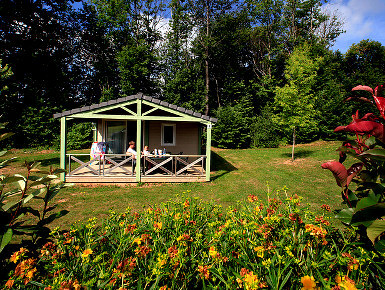 Explore the Ardennes and their surroundings at your own pace from holiday park La Sapiniere, enjoy a delicious local meal and the company of the friendly locals. The Italian Lakes are yet another fantastic option for traveling when you're over 50 and not only. The stunning landscapes of Lake Como or Lake Garda, the beautiful settlements with a rich history, culture and of course the Italian cuisine make any holiday spent here more than worthwhile. Choose your "vacation theme" and then look for the ideal accommodation in time, or take advantage of the last minute offers and get adventurous for a weekend away among nature, or for even more than that. If you're thinking you could use a relaxing break from the mundane, why not choose a little time off on a wellness holiday or at least a wellness weekend? With a beautiful accommodation in Tuscany, Italy for example, you have the culture, the history, the cuisine, wines and nature, as well as, if you choose so, a sauna and swimming pool, or even a thermal bath at your holiday park. What can be more relaxing than this? If you also want to be close to the sea, choose a holiday on the Croatian Coast, or even on the Belgian Coast. On the other hand you can opt for a holiday in the mountains, in the Rhone Alps of France, or the astounding Swiss Alps. Amazing landscapes and fresh air, long walks and a nice swim in the pool back at your holiday accommodation... rest, relaxation and exploring new places... all this and much more is what awaits for you on a 50+ wellness holiday. A really great holiday when you're in your 50's and not only, is a holiday near water. You can enjoy the sun, the water fun, great boat rides, fishing and a nice holiday home with a spa. We offer beautiful accommodations by the sea, by lakes and even rivers, with great facilities, throughout Europe. Choose a quiet resort on the North Sea Coast in the Netherlands or maybe on the Tuscan Coast in Italy, or the Spanish Catalonia. Hungary is also well-known for its thermal baths and for its amazing cuisine alike. Besides, it's not too expensive either. Spending some time near water can be truly relaxing and refreshing, as well as entertaining. Visit quaint towns in the area, experience the local traditions and make your stay a truly unforgettable one. You deserve a rest, so why not have it while surrounded by a beautiful landscape at the beach? Choose your favorite 50+ holiday and enjoy the world, great new experiences, some true relaxation as well as new adventures. At the beach or among nature, in a city or by a lake, you will be happy you took some time off from your daily routine... and of course, being happy keeps you young.